Mosul was an ISIS stronghold: the city from which its leader pronounced the establishment of the Islamic State, the city from which its commanders called for terrorist attacks on the United States, the city from which militants were sent to kill civilians in European cities. The war against ISIS is a war that affects us all – and MOSUL is an unprecedented and intimate portrait of the men fighting. 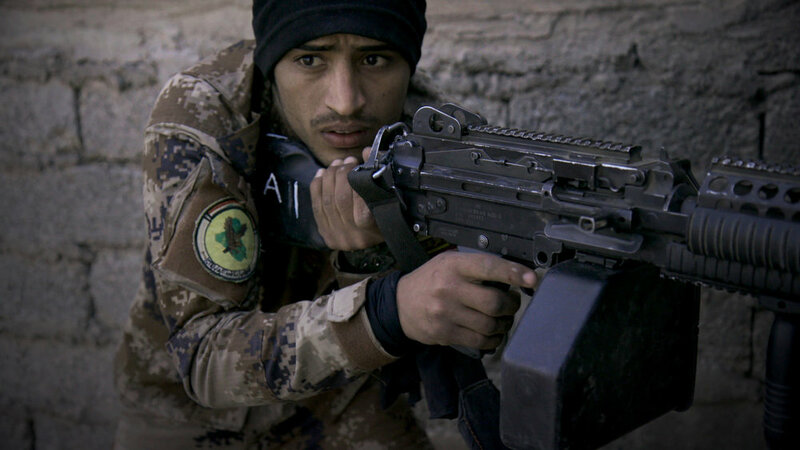 MOSUL is a PBS Frontline production in association with Mongoose Pictures and Channel4. Judges: Filmmaker Olivier Sarbil follows a squad of Iraqi Special Forces as they fight their way house by house through Mosul. His documentary stands out for the way it connects viewers with the characters of four Iraqi soldiers, putting human faces on an inhuman conflict. This is the ugly, unpredictable but relentless face of war, seen from up very close through Sarbil’s lens – and clearly at substantial risk to himself. Judges: It humanises a story that is complex, difficult and remote. The documentary is beautifully made with incredible access, and is filmed with compassion. This is an extraordinary film that takes you into the heart of battle through the eyes of some real heroes. It contains great depth and complexity.